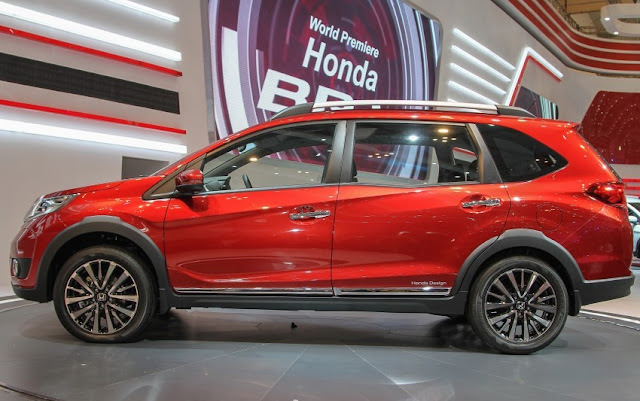 Honda has unveiled its new SUV BR-V at GAIKINDO Indonesia International Auto Show (GIIAS) 2015. The BR-V SUV is built on Brio platform and will be launched in India early next year. But the speculation of BR-V being less than 4 meters length has gone into winds. BR-V is more than 4 meters in length and seats 7 persons, which means it will compete with Renault Duster, Nissan Terrano and Hyundai Creta in India. The design of Honda BR-V was released last month and the artist’s impression looked fabulous, as always with any Honda car sketches. However BR-V in flesh is not as dynamic as in the design sketch but certainly have good appeal, with both SUV and Car features mixed together. From the side profile it is evident that BR-V is built on the Brio platform. But from any other angle it is impossible to relate to Brio and its siblings, thanks to sharp SUV design in the front and rear. 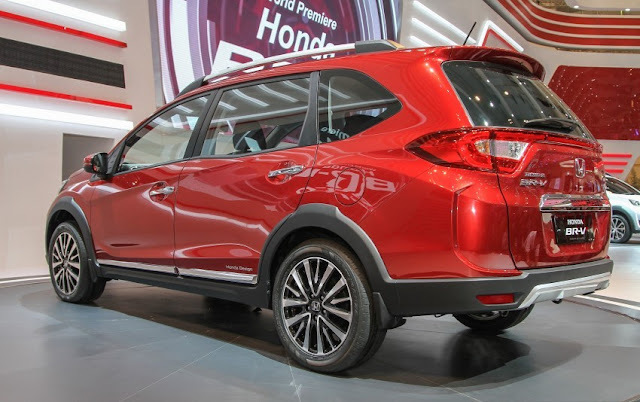 BR-V features a more squarish profile and the angled window line reminds us of the Mobilio. 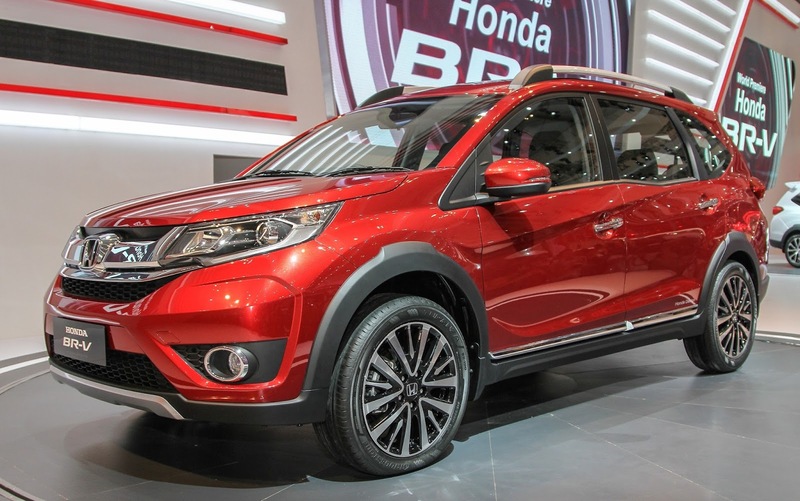 As usual the BR-V like any recent Hondas has lot of creases which give character to the vehicle. The dashboard of BR-V looks to be borrowed from the City and the steering wheel has been lifted from Brio family of vehicles. Honda BR-V has an advantage of 7 seat options which lacks in its competitors in the segment. Powering BR-V will be Honda’s 1.5L i-VTech petrol and i-Dtech diesel engines which are both tried and tested engines. Expect it to cost around Rs. 12 lakh when launched in India.